Hi All! I still can’t believe that school has already started. I remember when I was in school our summer break was 3 months, now it’s like 2 ½ months. That is if there’s no bad weather days to make up. But what can we do? We can look at the new school year as another year to come up with some new fun gift ideas for our favorite teachers. Like this Glass Jar That Looks Like a Pencil. It would be the perfect gift for a teacher, and a cute way to hold her pencils there on her desk. 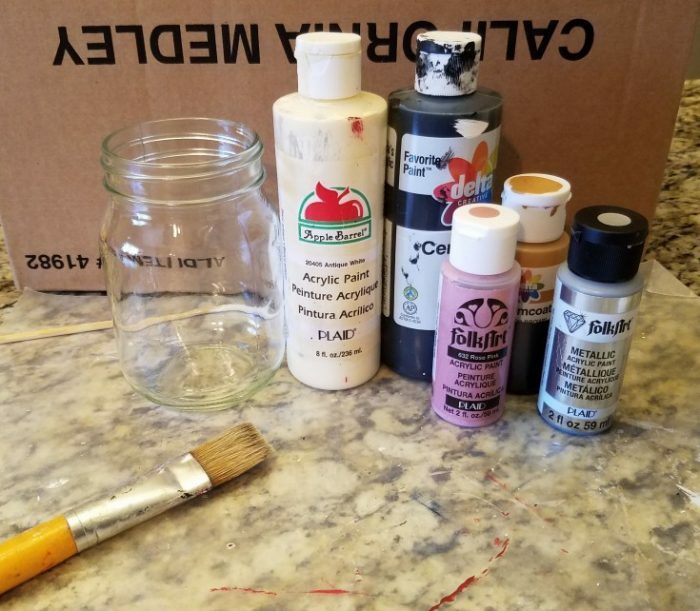 If you’ve been following along with me than you know how I love crafting with jars, and cans. Giving them a new purpose in life. What better way than to give a handmade gift of love that has given an object a new lease in life. 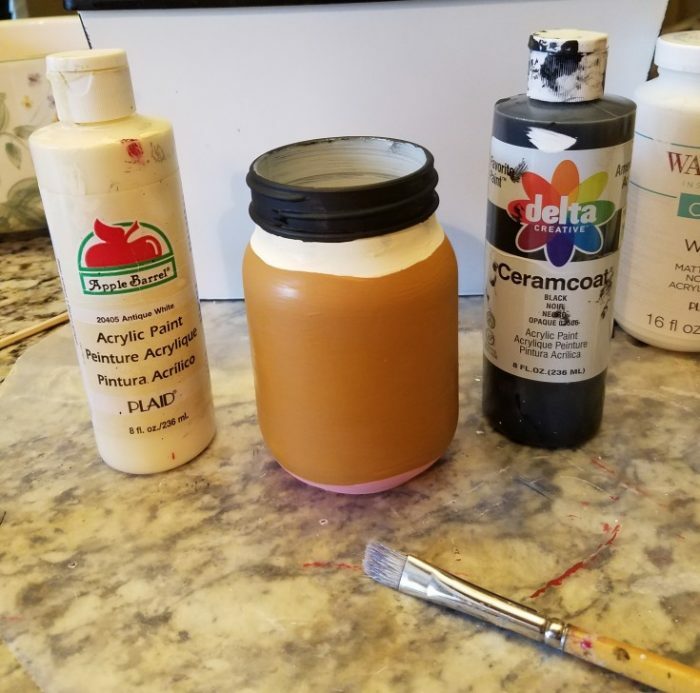 I started off by painting the outside of the jar with white chalk paint because it bonds better to glass than my acrylic’s. 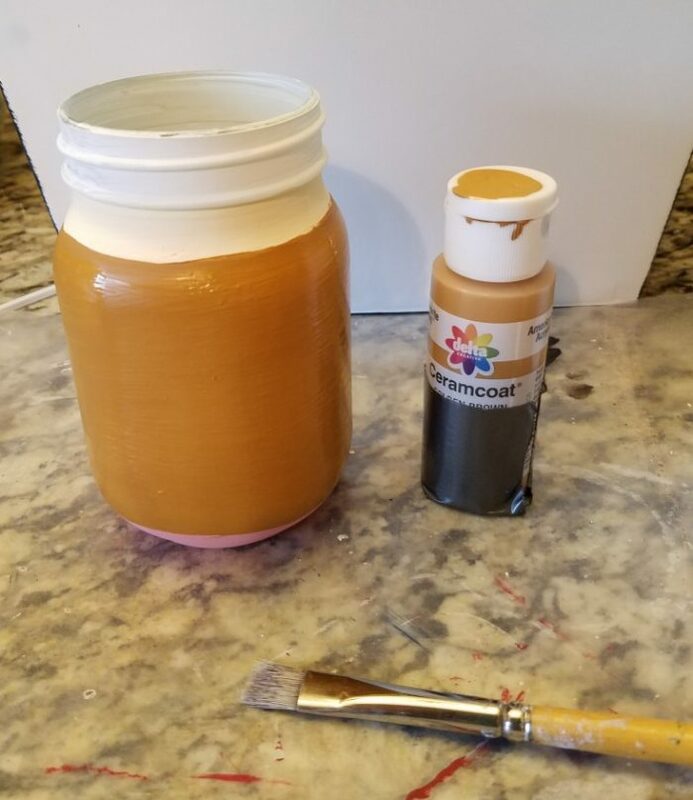 Then I can use my acrylic’s over top of the chalk paint. 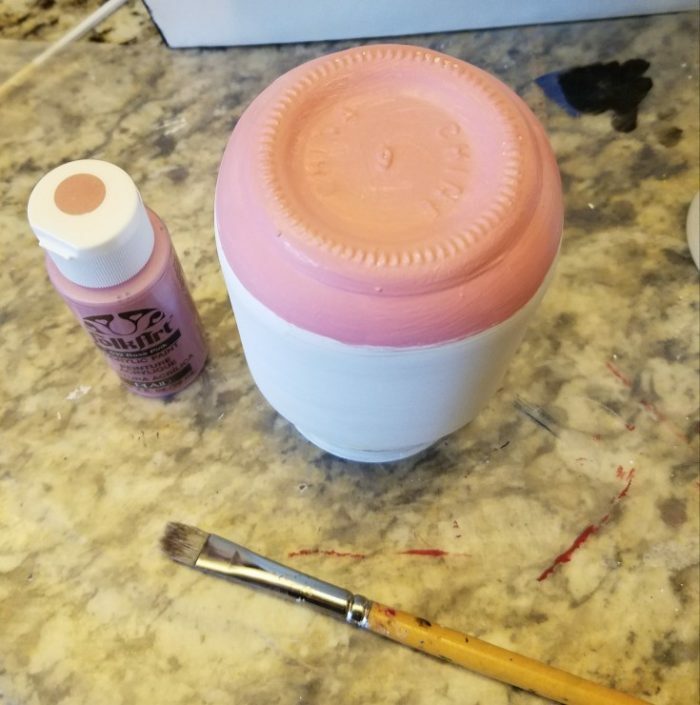 Then I painted the bottom part of the glass jar to resemble a pencil eraser, giving it two coats of rose pink. Next came two coats of golden brown for the center part of the pencil. 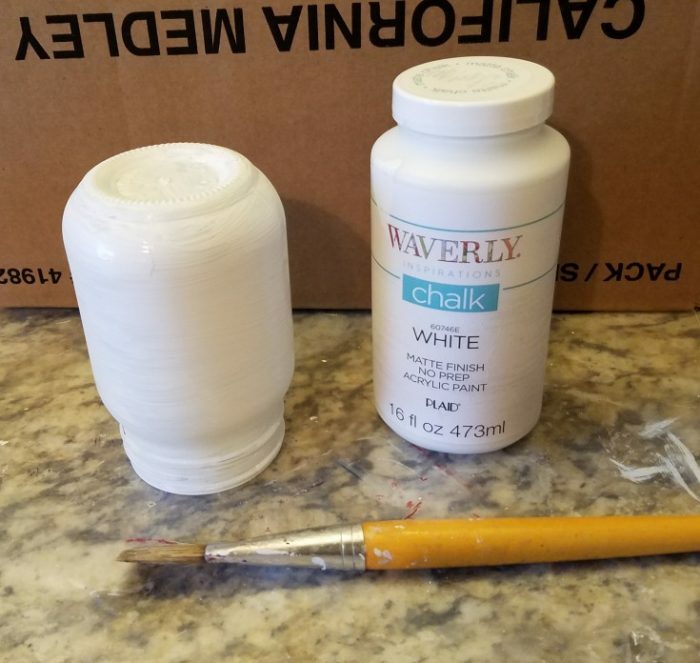 Antique white was used for the part between the pencil lead and the middle part of the pencil. Again, two coats of paint. Then came black for the pencil lead. After that I went back and added the sliver band that goes around the top of the pencil to hold the eraser in place. 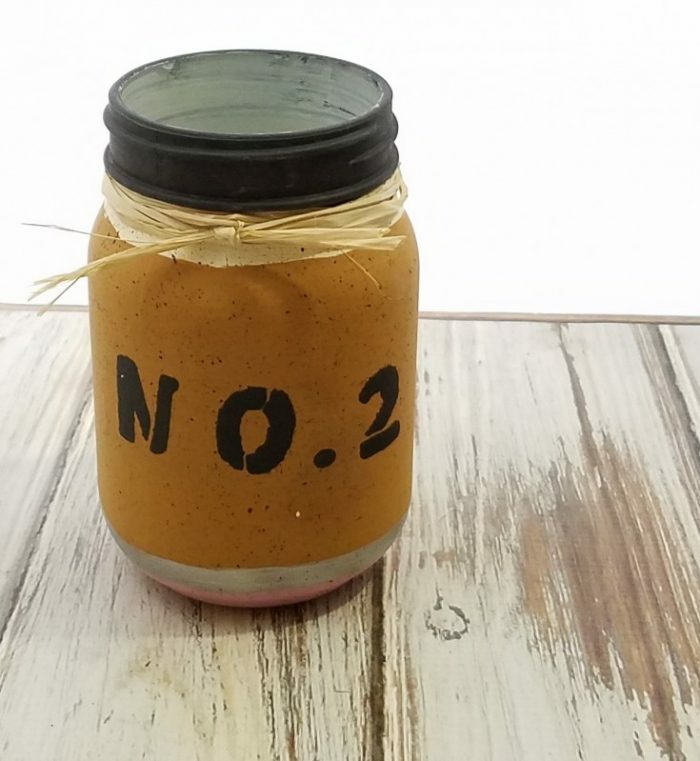 Using one of my letter stencils I added the NO.2 to the side of the pencil jar. Then I finished it off by tying some raffia around the top rim of the jar. That completes my glass jar that looks like a pencil. 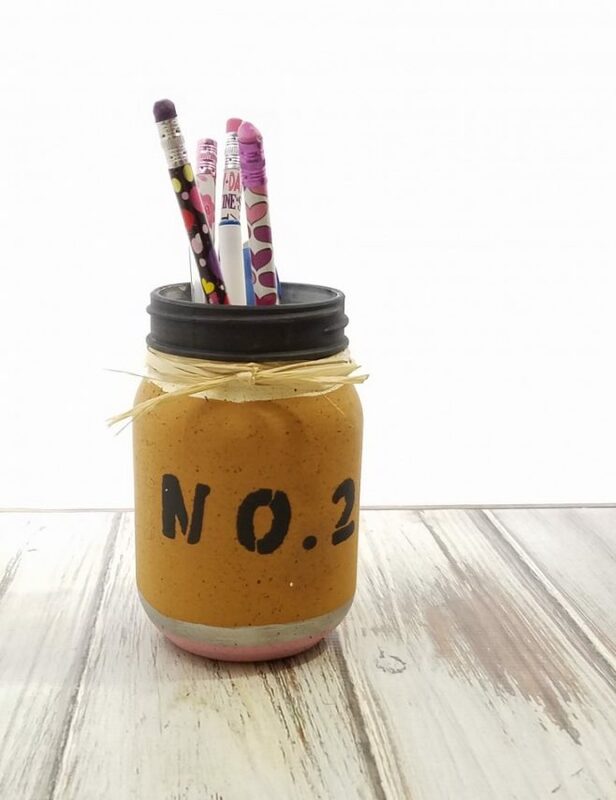 Don’t you think this pencil holder would make a super cute gift for a teacher? 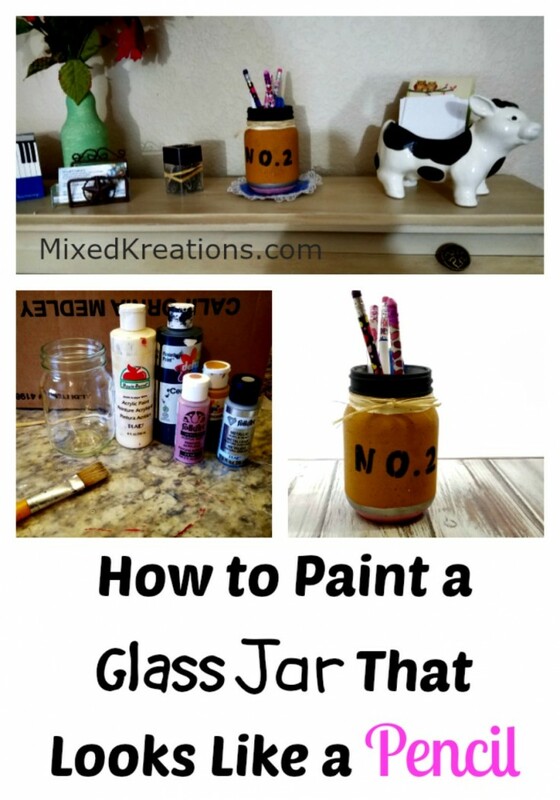 More Fun Glass Jar Crafts! 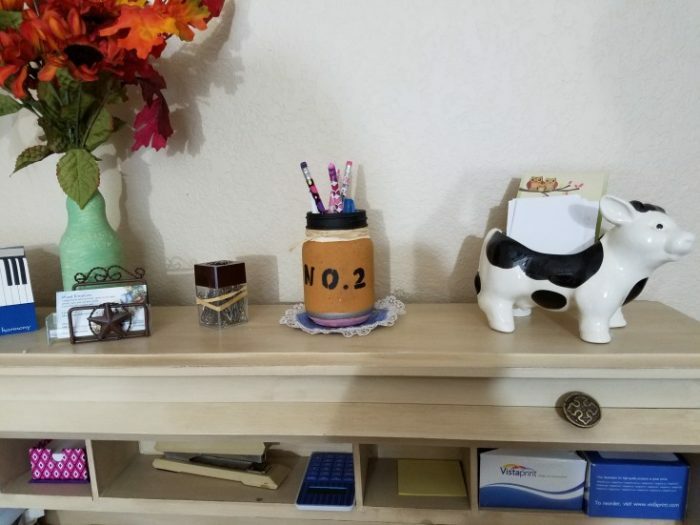 That jar is super cute!! Linda this is so so cute. I could definitely see it as a teachers gift or even for the kids to have on their desks. Thank you Mary! I think it is perfect gift fotmr teacher. Need to get more made. Linda, I don’t have a teacher to give this to, but it would look great on my desk. I have a thing for freshly sharpened pencils. LOL Just another one of my geeky obsessions! LOL But this would be a great first of the year gift to the teachers, butter them up early! LOL Great job, it’s adorable! Thank you Nikki! I like your idea of buttering them up. Lol. Wish I had thought of that, and I would of made several for the grandkids that are in school. So cute! It’s perfect for a teacher, and so simple. I love it! Thank you Amy! Super easy, and what teacher wouldn’t love one of these. What a super cute jar!!! Need some of these for my craft room!! Thanks Sam! It would make great storage, or holding pencils, or even paint brushes. I got another idea for one coming soon!